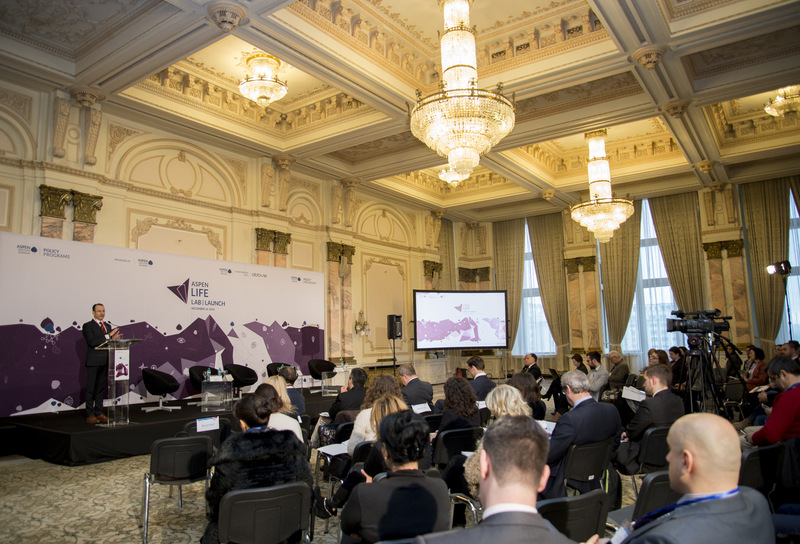 Aspen Institute Romania is organising the Aspen Life Lab Launch conference on 16 December 2016 at the Palace of the Parliament. Aspen Life Lab is an initiative developed by the Aspen Institute Romania (AIR) and its partners being rooted in AIR’s Healthcare & Quality of Life program initiated in 2012. The Healthcare & Quality of Life program supports sustainable reform in the health sector and a cross sector approach to healthcare and quality of life issues. Aspen Life Lab aims to broaden the scope of the debate on health policy to include non-technical issues related to access to health services, quality of health services and related infrastructure, community dimensions, sports and society, nutrition, education, social protection and innovation in the medical sector. The event will benefit from the participation of reputed Romanian and foreign experts in the fields of healthcare, health technology and pharma sector, decision-makers, practitioners, physicians, academia and researchers, independent consultants and health innovators. Aspen Life Lab project targets to broaden the scope of the debate on health policy, seeking to catalyze a long term transformation of the healthcare sector in Romania. One of the project’s top focus topics deal with HCV as a public policy health priority, aiming to develop a comprehensive solution to address the burden of Hep C under a new methodological cure and control paradigm. The action plan proposed includes a continuation of the prevention – awareness approach, comprehensive program screening, patient management risk, universal access and cure for HCV patients and proper assistance for both patients and caregivers. The ultimate objective is to develop a cross-discipline strategy for elaborating cure and control solutions, while addressing the epidemiological and demographic dimensions within a 10 – year negotiation frawework that is both budgetable and efficient. The Aspen Life Lab initiative sets to perform an analysis of the costs of treating hepatitis C and associated pathologies in Romania and an analysis of the conditions of implementing a new type of governance in the Romanian medical sector. The assessment covers, among others, a mapping of the economic and social dimensions of accessing healthcare, sustainability, the resources involved in the sector (human, infrastructure, financial etc. ), and possible comparative advantages of Romania in elaborating a program with a different paradigm, with the final goal of eradicating hepatitis C within 10 years. The research team explores the systemic implications of a curative program, evaluating its direct and indirect costs for authorities and medical institutions. The new type of intervention proposed is analysed both in terms of costs of healthcare services as well as in terms of reducing the socio-economic costs associated with this pathology. The panel explores the relationship between preventive medicine, new technologies and the way the two components support the generation of curative solutions for patients today. Technology has opened up new research directions in mental health support and data collection. Mobile devices like cell phones, smartphones and sophisticated digital applications are improving ways in which physicians, practitioners and researchers understand, collect data or monitor mental wellbeing and related illnesses. Medical staff and technology specialists are constantly testing new procedures to help prevent, diagnose and cure mental ilness, including through the use of technology in medical research. At the same time, mental health practitioners and software developers need to consider some of the main advantages of using mental health tech applications: convenience and low costs associated, anonymity, the possibility to provide wide access and on a 24-hour base, as well as the consistency ensured as regards the treatment program provided.